LAST ONE! Serenity Spa Wallhanging Kit has not been rated yet. With this item you will earn 213.81 Points in Homespun Rewards! 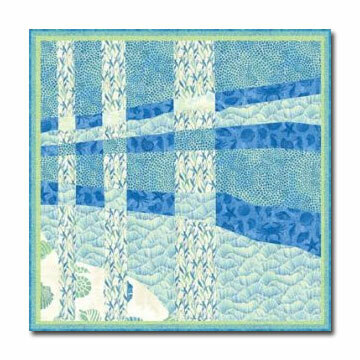 This wallhanging measures 32" square, and the kit includes all of the Northcott Serenity fabrics required to complete the wallhanging as shown, including binding, easy-to-follow instructions and full size templates for this unique and whimsical quilt.